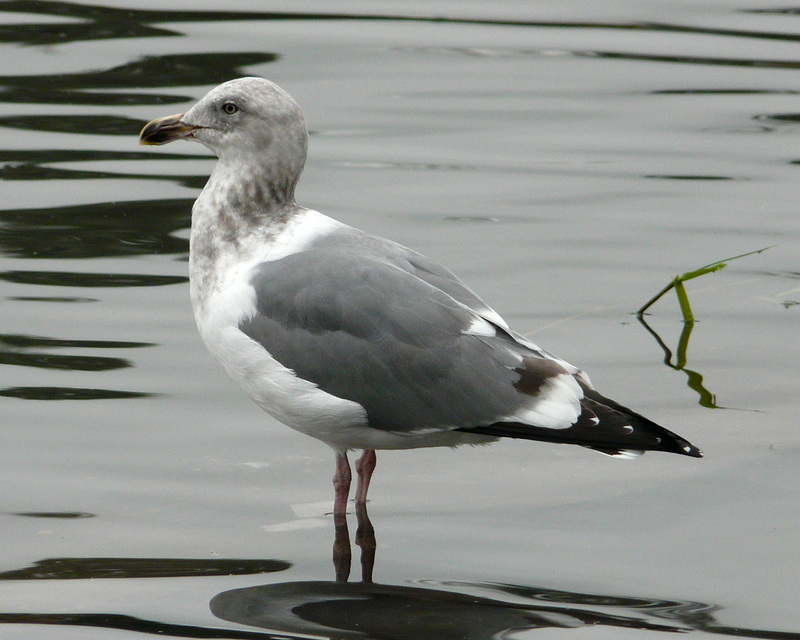 On a recent sweep through Portland’s Westmoreland Park, this gull immediately stood out from the flock. When you see a large gull that just doesn’t fit, chances are good that it is in its third plumage cycle. Large gulls (Western, Glaucous-winged, Thayer’s, Herring, to name a few) go through four plumages to reach their adult look. These species are often referred to as “four-year” gulls, but that term is not always correct. Some individuals go through all four plumages in less than four years, while others may take longer. It is more accurate to refer to these birds as four-cycle gulls. The third cycle can be confusing for two reasons. Birds in their third cycle are the least common, as many individuals from their hatch year have not survived to make it to their third plumage cycle, so you don’t see that many third cycle birds. Secondly, third cycle birds look very similar to an adult, but with a lot of little oddities that can throw you off. Black primaries with tiny white tips. An adult’s outer primaries have large white spots (mirrors). A ragged black band on the tail. An adult’s tail is pure white. Instead of the bill being school-bus-yellow with a red spot on the lower mandible, this billed is marbled. So when you find a gull that looks mostly like an adult, but has a little black on the tail, primaries darker than normal, and an oddly colored bill, chances are good that you have a third cycle bird. 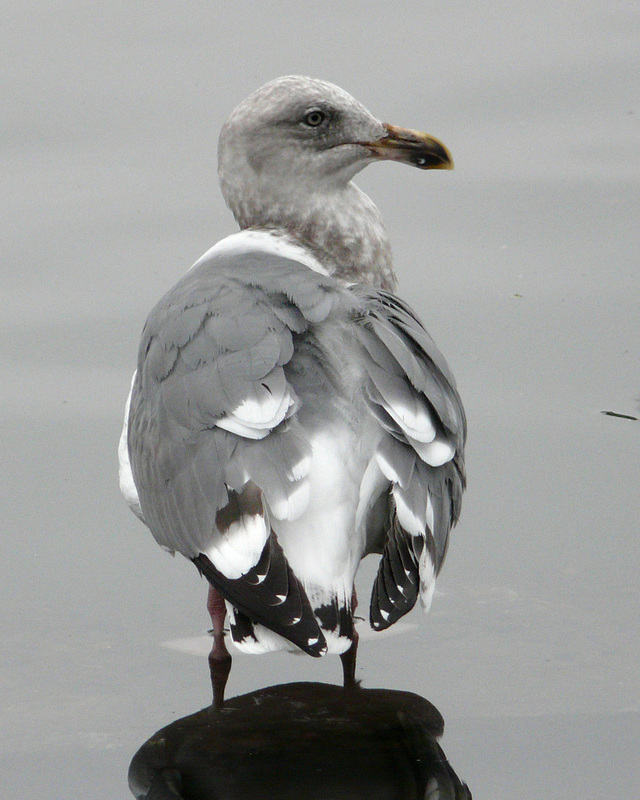 This entry was posted in identification challenges and tagged plumages, Western Gull. Bookmark the permalink.